Bridges are cemented to the natural teeth or implants surrounding the empty space. City Dental Centre provides porcelain-fused-to-metal crowns. Benefits of the plan Free consultations round the year, Free digital x-rays , Free Scaling. City Dental Centre at Mayur Vihar East Delhi provides the patients with the best dental and oral health. 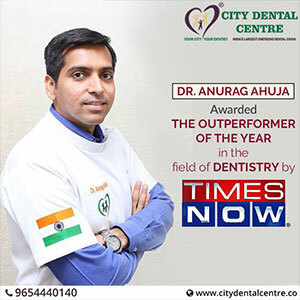 National Dental Excellence Award 2014 for best cosmetic dentist in East-Delhi. City Dental Centre at Mayur Vihar East Delhi provides the patients with the best dental and oral health treatments through latest technology available in the market. 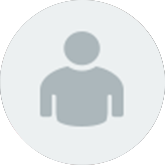 Modern technology means that dental treatment can be carried out with no or minimal discomfort. To provide our patients with a specialized approach for any kind of dental problem, for instance tooth decay, gum disease, tooth loss and more, we have the professionally qualified dental specialists. They are well proficient in providing dental services for Dental Crowns and Bridges, Dental Braces, Dental Fillings, Dental Scaling, Dental Implants, Oral Surgery involving Third Molar Impaction and Root Canal Treatment, Cosmetic Dentistry, Pediatric Dentistry, and Gums Treatment. City Dental Centre at Mayur Vihar East Delhi provides the patients with the best dental and oral health treatments through latest technology available in the market. City Dental Centre is a renowned dental care facility in East Delhi providing Dental Filling services. City Dental Centre is is a renowned service provider of Root Canal Treatment in East Delhi. 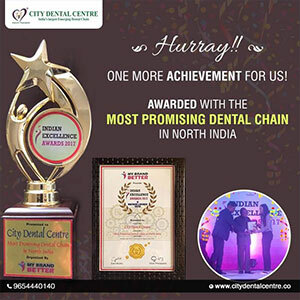 City Dental Centre is reckoned as one of the leading service provider of Dental Crowns and Bridges in East Delhi. City Dental Centre is a leading dental treatment services provider in East Delhi performing the Oral Surgery for Third Molar Impaction. City Dental Centre is a leading service provider of Teeth Scaling in East Delhi. We recommend everyone to go for teeth scaling as it cleans the teeth. City Dental Centre is well-known in the industry for providing effective solutions and treatments pertaining to Cosmetic Dentistry. City Dental Centre is a leading service provider of Pediatric Dentistry in East Delhi. We have a specialized team who attend to the dental problems for the children (infant and adolescent). Dental Tourism in India is leading Asia as a dental tourism destination. ",Maintenance is the key factor in preventing diseases". City Dental Centre is a leading service provider of Complete dentures in East Delhi. A full denture is a removable appliance replacing all of the natural teeth from the upper and lower gums. City Dental Centre is a leading service provider of Dental Braces in East Delhi. Braces are used in orthodontics which help to straighten the misaligned teeth. Clients can avail from City Dental Centre excellent Gums Treatment services in East Delhi.